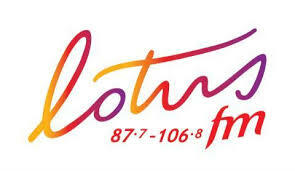 Lotus FM Live Online . It is an entertainment powerhouse for South African Indians, offering the most popular fusion music and entertainment. It is known for its music, DJs and events. Although broadcasting is done in English, the station prides itself on providing entertaining language shows, teaching listeners to speak in their mother tongue Tamil, Urdu, Hindi, Telegu and Gujurati . Postal Address: P.O. Box 1588 , Durban , 4001 . Physical Address: SABC , 100 KE Masinga Road , Durban, 4000 .